Soon my first audiobook in Dutch will be out. It's TOEN KWAM SAM (THEN THERE WAS SAM), and I narrated the book myself. 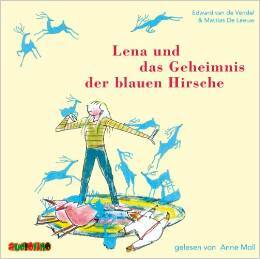 In the meantime my first audiobook in German (LENA UND DAS GEHEIMNIS DER BLAUEN HIRSCHE) is nominated for the German Audiobook-award - the BEO, Deutscher Kinderhörbuchpreis. Yesterday it was announced that the book, read by Anne Moll, illustrated by Philip Hopman, translated by Rolf Erdorf and published by Gerstenberg (book) and Audiolino (audiobook), is on the shortlist. More about the award and the shortlist: here.